A Map of the East. Photographs by Leo Rubinfien. Afterword by Donald Richie. David R. Godine, Boston, 1992. 132 pp., 107 full-color photographs,, 9½x8¾". 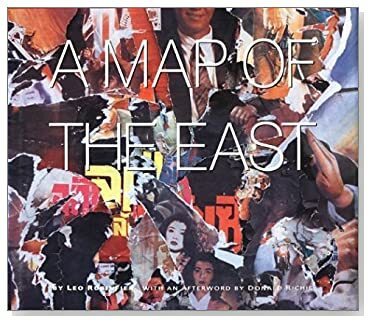 "In this startling, illuminating, and graphically representative book, Leo Rubinfien attempts to define the character and idiosyncrasies [of the Far East]." The book is "an elegy and a celebration . . . composed poetically through subjective eyes. . . . Here is an intimate, lyrical work that gives readers the shanties and businessmen, air pollution and toy shops, ferryboats and war relics, innocence and femininity of an East that is changing at a frantic pace." --the publisher.